Kohl’s Department Store offers apparel, shoes and accessories for men, women and kids, and home products from small electrics to luggage. Kohl’s carries biggest names from Dockers, Lee and Levi’s to KitchenAid and Hoover. Special Terms: Member Rewards are not available on each jewelry item with original price of $2,000 or greater, Nutribullet, KitchenAid products, gift cards, Kohl's Cares merchandise and e-gift cards. Cash back is not available when using Masterpass or Visa Checkout. 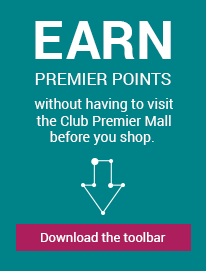 Rewards are not earned for the portion of your purchase paid for with Kohl’s Cash. Purchases made offline are not eligible for rewards. Your order can be shipped to APO/FPO, Alaska and Hawaii destinations via our Standard Ground service only. Orders placed after 1pm (local time) will be processed the next business day. Business days are Monday-Friday (excluding holidays). Please note that we may need to divide your order into two or more shipments. You will receive a separate shipping confirmation email for each shipment we send you. However, your shipping charges will not be affected by this. Due to certain shipping restrictions, not all Kohls.com merchandise can be shipped via our priority services (One-, Two- and Same-Day) or sent to Alaska, Hawaii, and/or APO/FPO military addresses. The amount of sales tax applied to your order during the checkout process is an estimate and may differ from the sales taxes ultimately charged. The actual tax to be charged will appear on the "Review and Place Order" screen prior to clicking “Place Order.” Gift wrap and shipping charges may also be subject to sales tax. We accept Visa, American Express, MasterCard, Discover, Kohl's Charge. Your satisfaction is our priority. Our Return policy extends to all Kohl's merchandise with the exception of premium electronics which must be returned within 30 days from the date of purchase with original packaging and a valid receipt or account look-up. To return merchandise in-store, simply bring the item you would like to return and your receipt to the Customer Service desk of any Kohl's store near you. If you prefer to return by mail, fill out the return form that accompanied your purchase, pack the merchandise and receipt into a sturdy box and apply the supplied return label. Please send all shipments prepaid and include all merchandise tags.